Where should your kick, snare and hats fall in your mix? Mixing a song is not easy. You really need good ears to make it happen and to sound good. You can tell a difference in a solid mixing engineer and an amateur. Your drums should always sound good in a song and you do not want your snare to overpower your kick. Here are some basic guidelines for a simple mix. You should keep your meter level at 0db when mixing. I would not add any efx to the kick unless you are going for a totally different sound. EQ to your own taste. Try and keep the snare at -2db and generally EQ to your own taste. Most people mess with 4khz frequency are for the snare. Efx use are reverb and more. It's up to you! Start at -15db and add more level until it sounds right in the mix. You do not want hi hats and cymbals to be too loud in the mix. 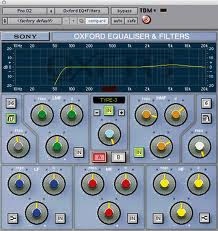 EQ to your own taste and light efx if any.